Hello everyone!! Hope all of you had a wonderful weekend! I know I did, especially with the beautiful weather we had. 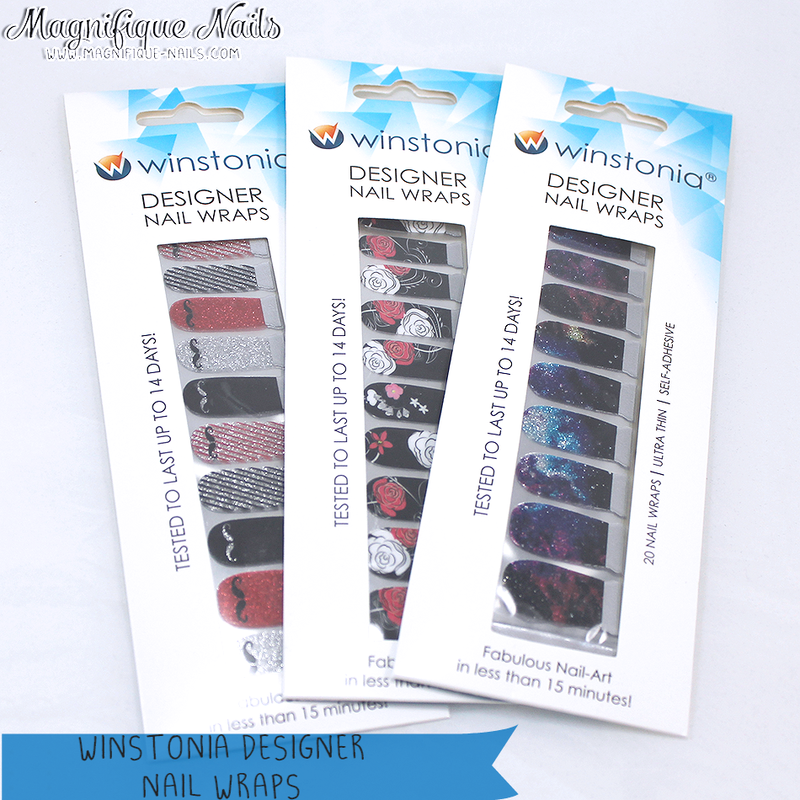 So for today's post, I have some awesome nail wraps from Winstonia, an online store with tons of nail art accessories and tools. I personally love their nail art brushes, they are my new faves. 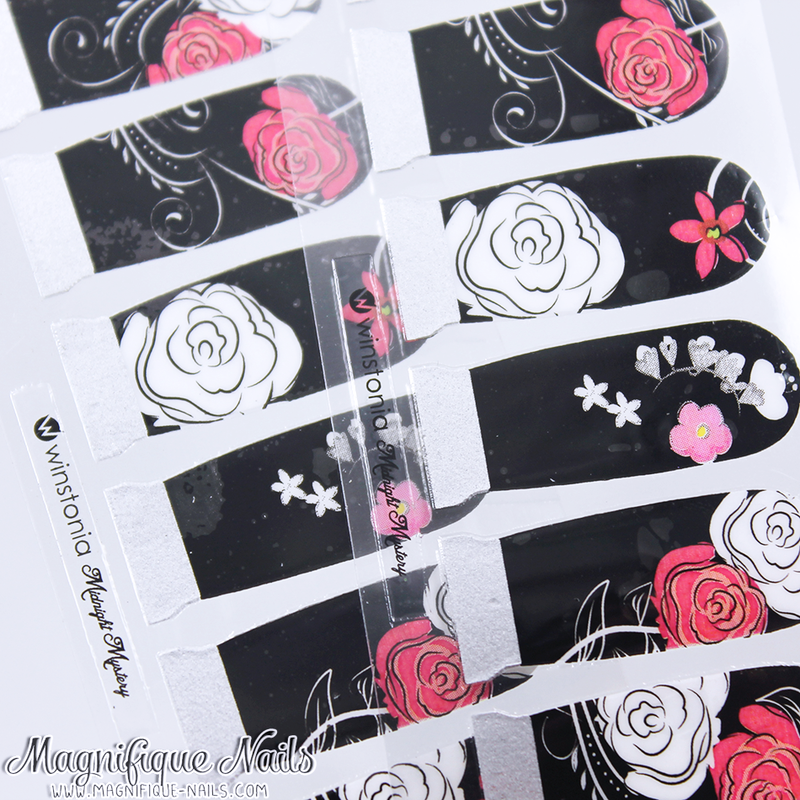 The designs I received are their new sets of designer nail wraps, which looks amazing. 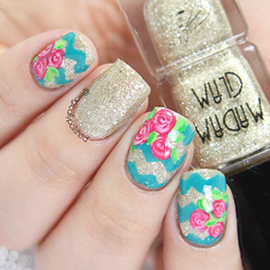 I typically don't wear nail wraps, but they're the perfect alternative for those lazy or busy days. 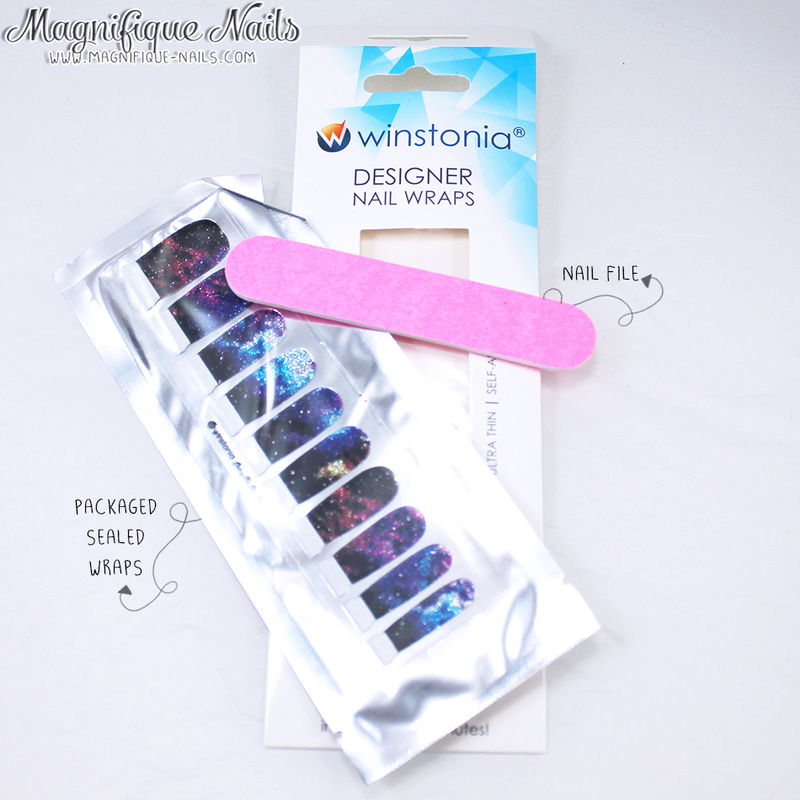 When you receive your set, they will come in completely sealed package and one nail file. Each package has two sets with 20 nail wraps to choose from. Especially, for those with different nail sizes. I personally loved, how each wasn't overly large. As you can see from the above photo, this is not like many nail wraps I've seen, they are perfectly protected by a plastic clear cover. It is also convenient to see and measure the wraps, to fit the nail. The first nail wraps I tried is called Midnight Mystery. 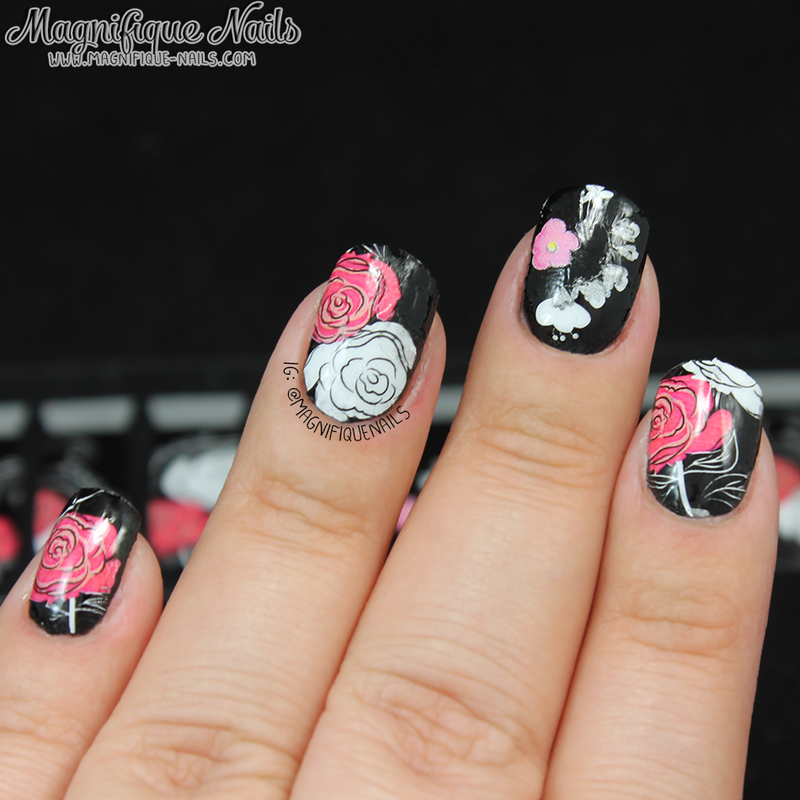 Is a beautiful floral print pattern on a black base. I had a minor issue with my top coat on this one, since the top coat made it wrinkle a bit. If you were to choose this one, it's best to leave it alone or see if your top coat will work. These were my favorite wraps called Galaxy Far Far Away. I have a weakness for galaxy themed designs. I absolutely loved these! I mean how can you not, with all that sparkle and colors! 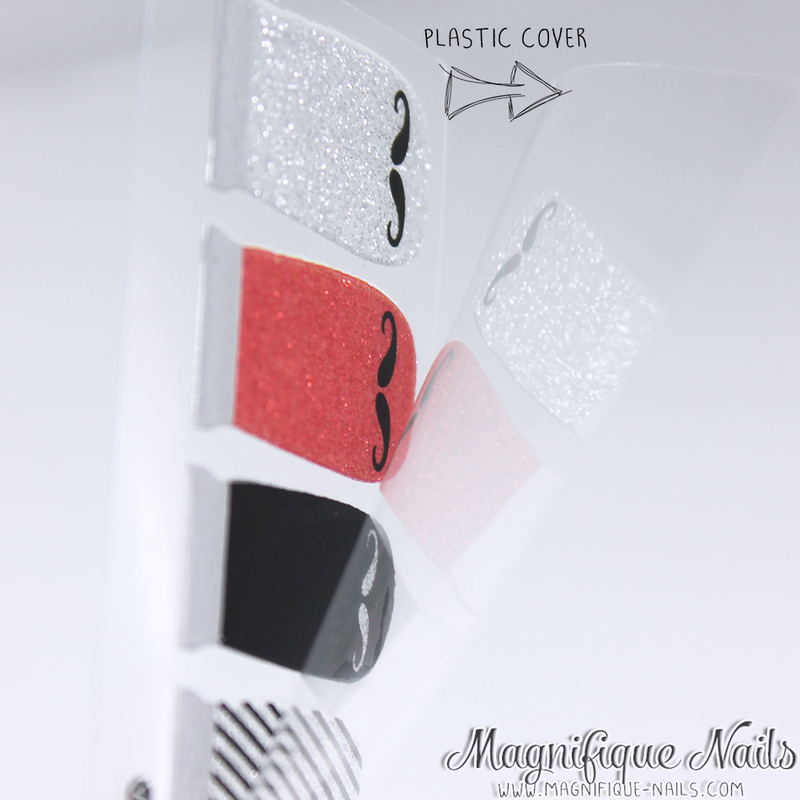 Lastly these super cute mustache themed design called Keep It Classy. These wraps were amazing to look at in person. It completely shines under the sun. And I loved the mustache design, perfect for Father's Day! Overall the wraps were super easy to apply. I was mostly surprised how they did not feel like stickers, more like vinyls. 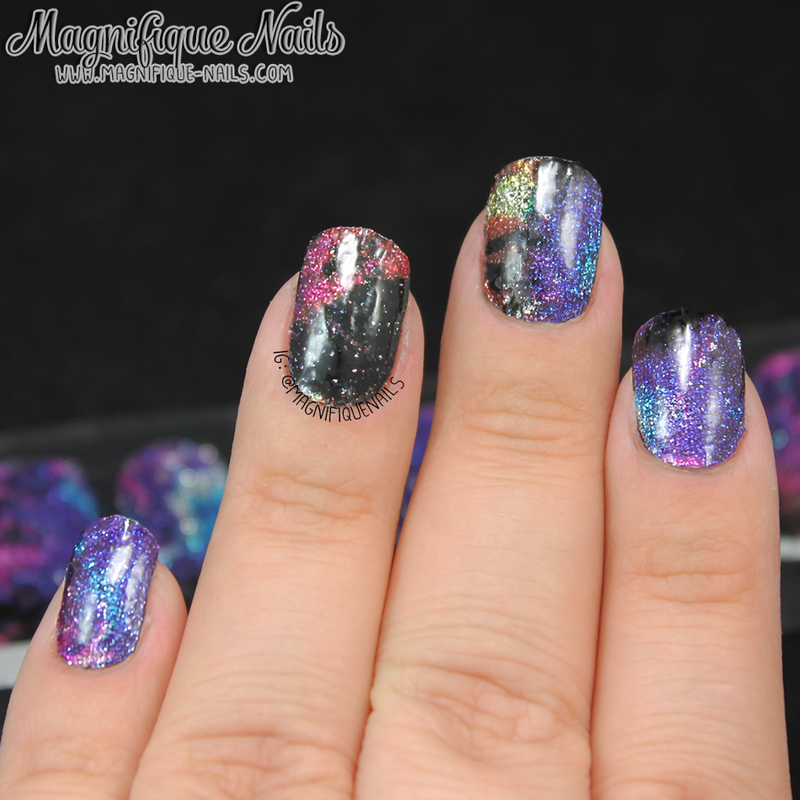 Of-course since I don't typically wear nail wraps, there were a few mishaps with my top coat. 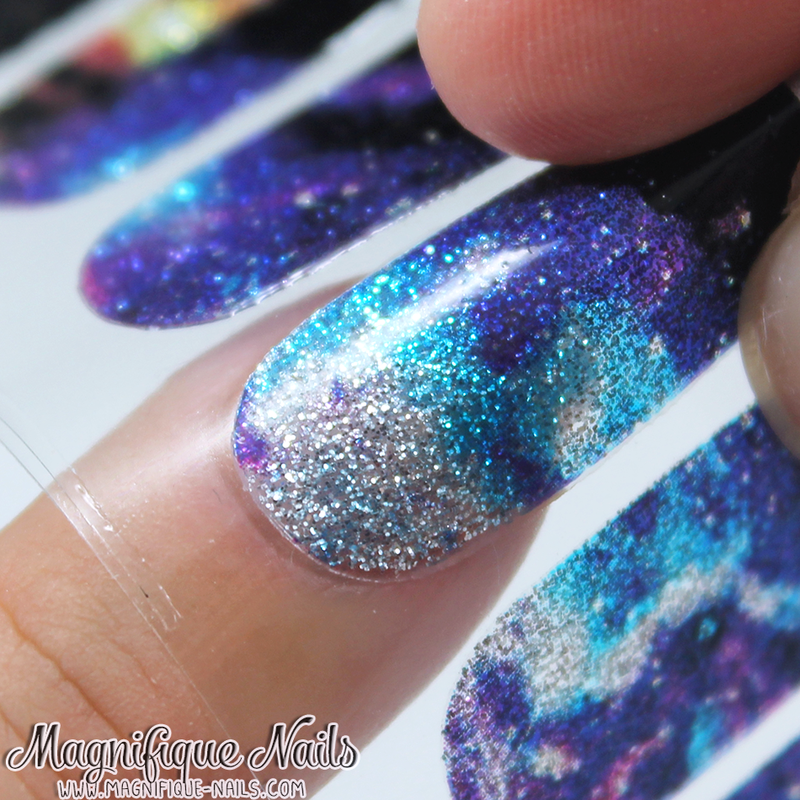 However, if I ever do need a quick nail art fix, I would definitely used these. Considering how affordable they are compared to most wraps I've seen and tried! You can purchase each of the wraps for $7.95 here on their website. You can also follow them: Facebook:Winstonia Store Instagram: Winstonia Store Twitter: Winstonia Store Pinterest: Winstonia **Products were provided for honest review. Please see disclosure policy for more information. ** Hope all of you enjoyed my post today! What do you guys think? Let me know in the comments below!